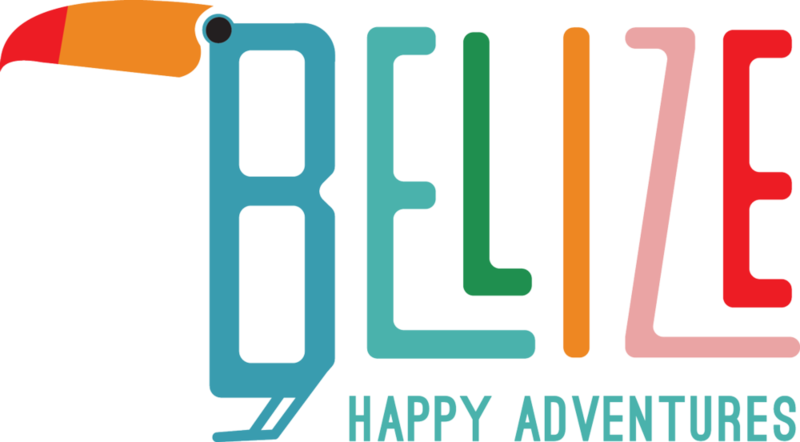 One of the most fascinating things we’ve done since moving to San Pedro is spend an evening with the “crocodile wranglers”, Chris and Christina, looking for crocodiles in the island’s mangrove habitats. To be absolutely clear, they won’t be hunting crocs. Instead this well informed, and dedicated, young couple study them, do community outreach about them, and educate visitors about the need to save these remarkable creatures. They work for an organization called ACES - American Crocodile Education Sanctuary. What Chris and Christina (and their team) will do is take you out, beginning just after dark, on their twenty-foot Carolina skiff affectionately known as the “Swamp Thing” and with your help, search for crocodiles. The hope is that you will sight a croc and Chris will be able to bring it aboard the boat. Once the beast is aboard the boat the crew will determine if its been previously tagged, or not, and record all sorts of information about that particular croc. 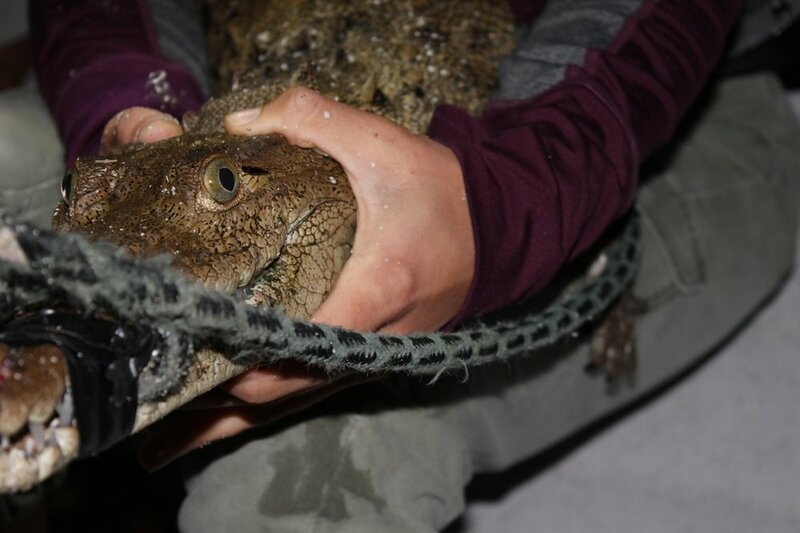 On one particular night’s “hunt”, after getting out of the boat and almost silently walking through the water, Chris caught a 4-5’ croc and brought it aboard. Once it was in the boat with us all, the team took measurements. All through the search, and if a crocodile is aboard, this terrific young couple will work to educate the evening’s boat guests about all things crocodilian. This may well be one of the best ways to spend an early evening in Belize. Each time we’ve done it with our guests, we learn something new. Plus, these evening “hunts” are the primary way that funds are raised by ACES. 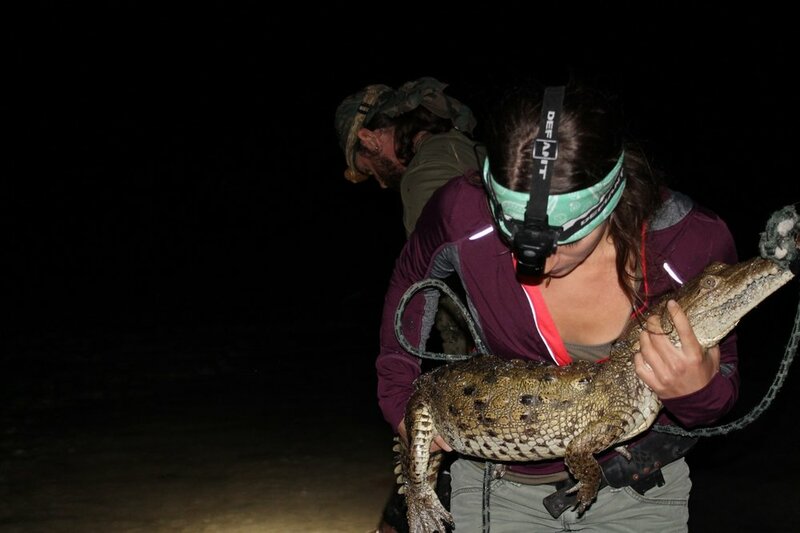 This helps to ensure that this group’s work which is “dedicated to the conservation of Belize's critical wetland habitats and protected species, specifically Crocodilians, through scientific research and education to preserve wildlife for future generations” will continue. We can’t say enough about how fun, and really interesting, an evening on the Swamp Thing can be.